Things kept moving at Etowah this season, with the Eagles winning their third straight Region 4AAAAAAA championship and advancing to the second round of the state playoffs for the third straight season. Jason Dasinger took over the program's reins in 2017, following the first region title, and while he has added two more, he credited the players with most of that success. While much of the team had already seen a pair of region championships, there was not much experience on a group that was losing four starters. Reigning region and county player of the year Jaxon Etter was back, but replacing three players who moved on to college was one of Dasinger’s toughest coaching jobs. Despite the roster turnover, Etowah’s metrics stayed similar. The Eagles won six fewer games, but their points per game stayed the same at 56.4. The points allowed per game jumped from 45 to 50.5, but it was behind a group prepared to take charge. More structure on the offensive side was required this year, but defense remained the main focus for the Eagles. On both sides of the floor, Dasinger’s team did its best work at the end of the season. The Eagles won 11 of their final 14 games of the season, and while they came up just short of reaching the quarterfinals for the third straight year, Dasinger said continuing to focus the entire season on the stretch run will only help his team take the next step. Entering his senior season, Etowah's Jaxon Etter was only concerned with keeping his team on top. During his sophomore and junior seasons, Etter helped guide the Eagles to the first two region titles in team history and a pair of playoff wins, while picking up a Region Player of the Year award along the way. Though Etowah did not quite cruise through the regular season like it did last season year and entered the Region 4AAAAAAA tournament as the No. 2 seed, Etter got his third straight region title with a win over Cherokee. The end result was the same, but Etter played an even larger role this time around. After losing the other four starters to graduation, Etter had to do a little bit of everything. He led the Eagles with 21.3 points per game, but he also added 6.7 rebounds, 3.5 assists and 3.2 steals while being more vocal at both ends of the floor. For Etter, that process started during the offseason with the Atlanta All-Stars. Playing on the AAU circuit, Etter said the improved competition only made him better, and he tried to share that with his high school teammates. 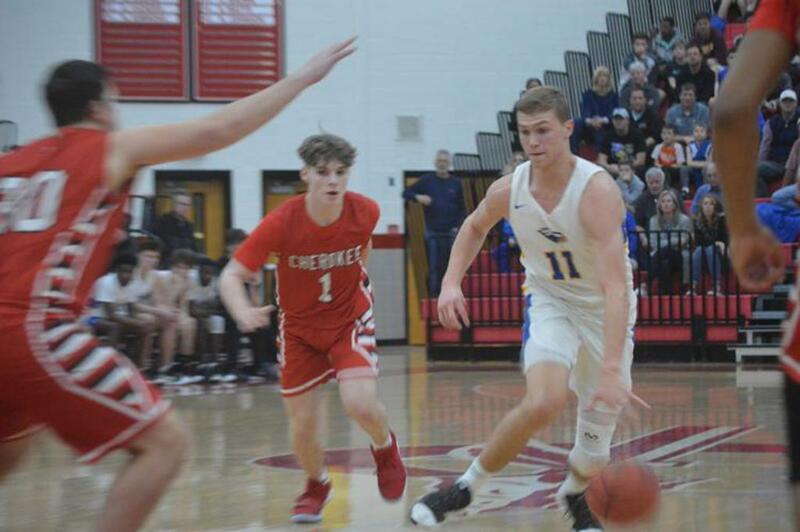 Etter said Etowah has learned to play with the quicker guards it sees in the postseason, and with the height coming through the program, he thinks the Eagles could be ready to take the next step to the quarterfinals next season. As Etowah looks to break through to the deeper rounds of the playoffs, Etter will be playing at Georgia as a preferred walk-on. He said he received the offer at the beginning of the season, and once Bulldogs coach Tom Crean signed top recruit Anthony Edwards from Holy Spirit Prep in Atlanta, Etter knew he and the coaching staff were on the same page. Jaxon Etter, two time Region Player of the Year, has announced that he will continue his basketball and academic career at the University of Georgia. On March 23, Etter will also play in the GACA Senior State All-Star game where as a Junior last year he was named MVP. Watch his compelling story here. 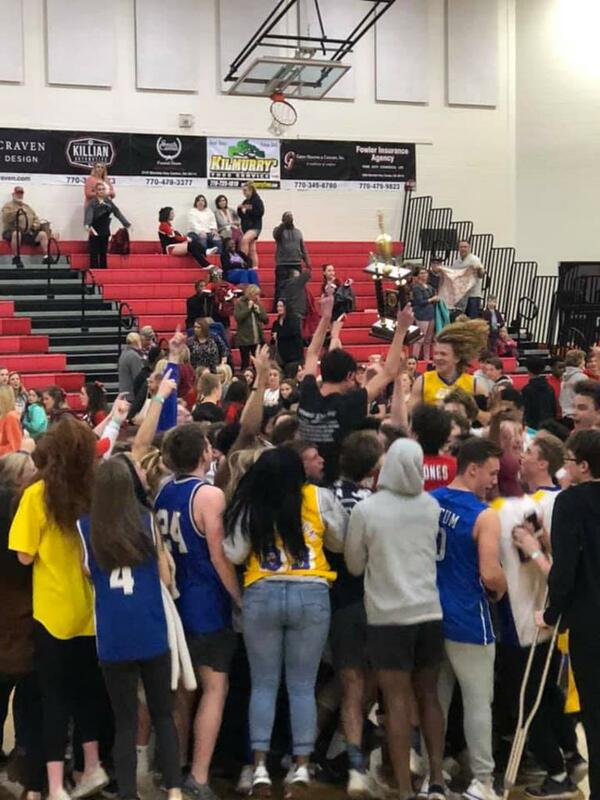 The Etowah varsity boys basketball team took home the Region Championship trophy for the third consecutive year after beating Cherokee 44-39. Thank you for your support of our Eagles! Etowah's Jaxon Etter finished with game-high 19 points to lead Etowah to its third straight Region 4AAAAAAA championship. CANTON -- Etowah built and early lead and held off a Cherokee charge in the second half to complete its Region 4AAAAAAA three-peat with a 44-37 win Friday. The Eagles (16-9) stifled the Warriors’ (11-15) offense in the first half to lead 30-13 at the break, and while Cherokee was able to get within three points in the second half, Etowah never surrendered its lead. As Cherokee struggled early, Etowah had little trouble getting on the board. “It feels great, because high school basketball is about memories,” Etowah coach Jason Dasinger said. “That’s a memory those kids will never forget. They did what they always do. Holding a team to 13 points in the first half gave us a little bit of a cushion. We knew they were going to make a run in the second half, but defense hangs banners. P.G. Forde made three 3-pointers in the first half to finish with 10 points. Jaxon Etter had 10 of his 19 points before the break, but things flipped in the third quarter, where the Warriors outscored the Eagles 16-5 to get within six points. The quarter started with a 15-1 run by Cherokee thanks to improvement in the hustle stats that saw Etowah take a 7-3 advantage in offensive rebounds, a 6-4 edge in turnovers and a 13-7 advantage in free throws attempted in the second half. Elijah Tucker led the charge in the third for Cherokee with eight of his 13 points. Thailand Owens added 11 points, and Zack Vickers made eight second-half free throws to finish with 11 of his own. The run continued into the fourth quarter, with Cherokee getting as close as 40-37 with 2:00 to play, but the Eagles scored the final four points of the game to seal it. Both teams will host first-round playoff games next week. On Friday, February 1, Senior basketball players and managers were recognized between the Varsity Girls’ and Boys’ basketball games. These outstanding student athletes have accomplished so much and given us four awesome years of basketball. May the lessons you learned on the court carry you into your next chapter! We wish you all the best. ROSWELL -- Etowah’s comeback attempt came up just short Tuesday in a 65-55 Region 4AAAAAAA loss to Roswell. With the loss and Walton's win over Cherokee, the Eagles (12-9, 6-2) fell to the region’s No. 2 seed, while the Hornets (19-4, 8-0) clinched the top seed heading into the region tournament, but Etowah coach Jason Dasinger said the loss does not change this season’s goal. Roswell jumped out to an early lead thanks to a box-and-one defense that focused on Jaxon Etter and took the Etowah offense out of rhythm. After scoring the first four points of the game, Etowah gave up 22 of the game’s next 25 and never led again. Etter finished with 10 points. Matt Lane also added 10, while P.G. Forde and Bryce Dotson each helped pick up the slack with eight points each. The Eagles finally got their offense going after halftime with runs of 8-0 and 6-0 in the third quarter. Those runs included three offensive rebounds that resulted in six second-chance points in the frame to cut the deficit to 40-37 heading into the fourth. Roswell was able to pull away again in the fourth quarter behind 21 points from George Pridgett and 19 points from Kolby Wade, but Dasinger said he expects his team to improve from the experience. The Eagles will play again Friday against Woodstock, where Dasinger said he expects his team to continue to improve before it makes a run at its third straight region title. Here’s to our Etowah teachers!! We are truly grateful for your hard work, dedication and support! Etowah Student Section - Thanks for your Support! Link to our Sports Medicine Page with info on our Athletic Trainers Alex King, ATC Head Athletic Trainer and Kirby Bertram, ATC	Associate Athletic Trainer. Also includes information on all Sports Medicine staff as well as link to the physical form and more. Future Board Meeting dates and times will be posted here. ©2019 Etowah Eagles Basketball / SportsEngine. All Rights Reserved.